After a frustrating, often wind-against-tide cruise down the St. Lawrence River in 2001 with no guidebooks, Capt. Cheryl Barr decided to write her own. 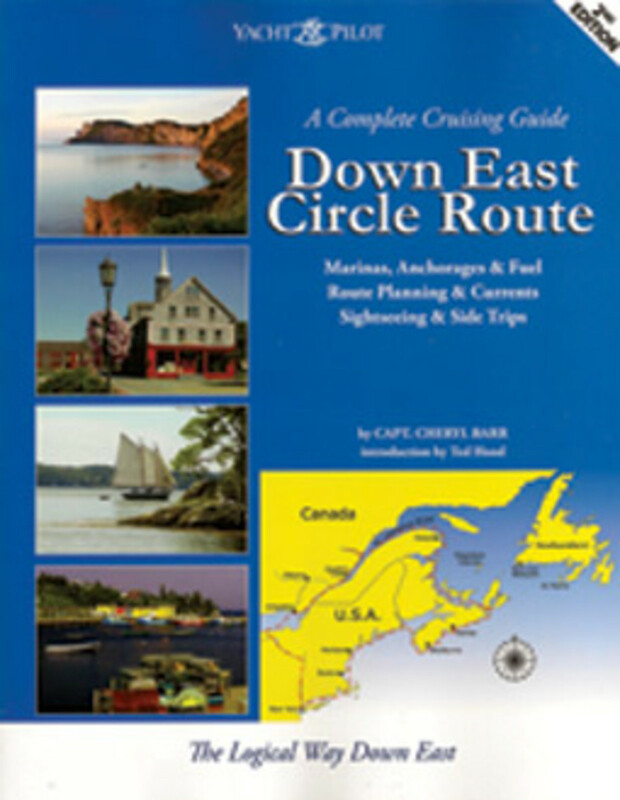 “A Complete Cruising Guide to the Down East Circle Route” follows a 2,400-mile clockwise cruise from New York City to the Great Lakes, down the St. Lawrence River, through the Canadian Maritimes, then south along the New England coast. 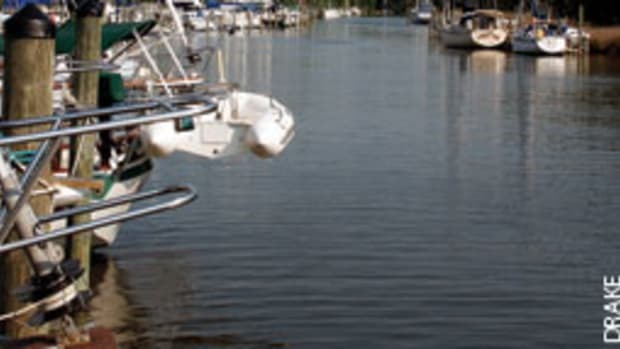 “The Down East Circle is great for both experienced and entry-level cruisers. 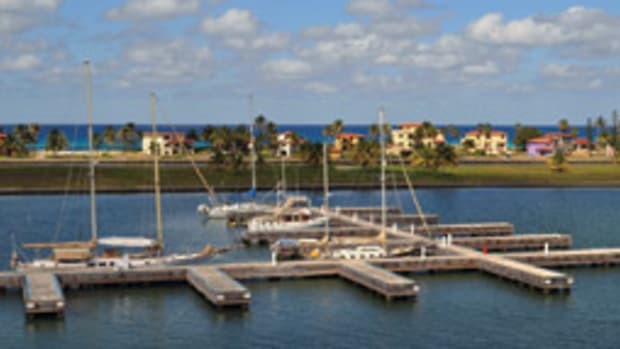 Any sound yacht equipped for Intracoastal Waterway cruising can do it,” says the 47-year-old Canadian, who holds a Yachtmaster certificate from the Royal Yacht Sailing Academy on England’s Isle of Wight. 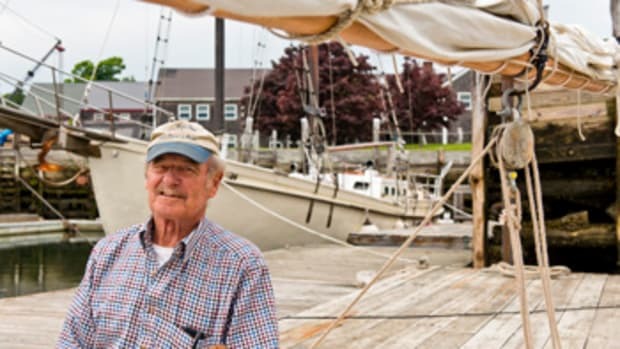 After research cruises aboard Road to the Isles — a 62-foot steel Herreshoff schooner she and her father built — and Marita — a 50-foot custom Jack Gilbert-designed power yacht — she compiled her findings. “When I made my first Down East Circle cruise, no one knew anything about that route,” Barr says. 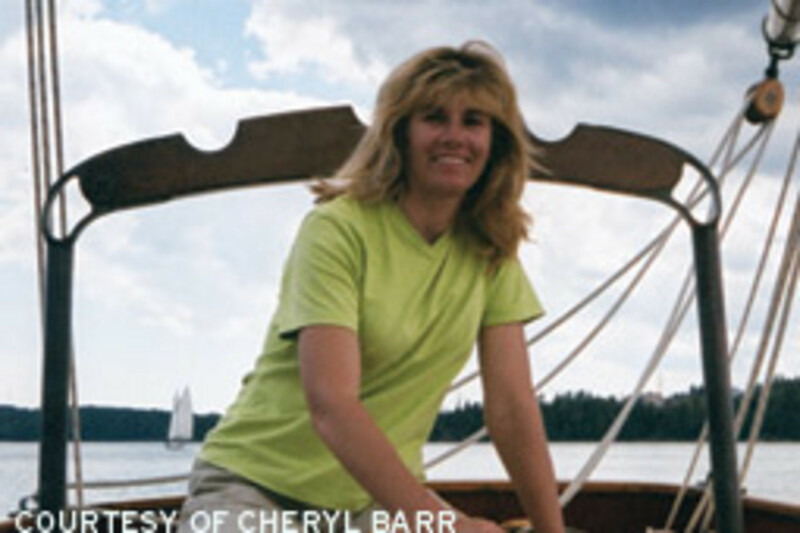 Barr initially sold her books at boat shows, including PassageMaker magazine’s Trawler Fest, and from the trunk of her car. 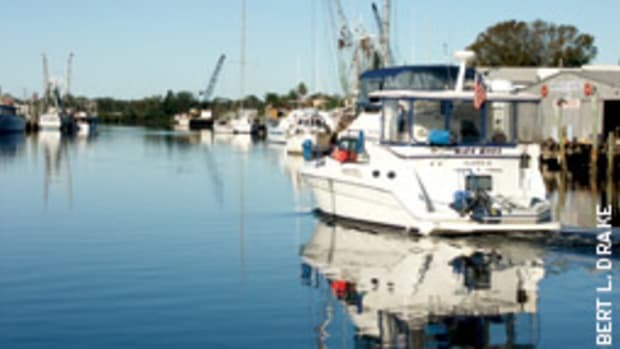 Eight years later, most sales are through her Yacht Pilot Publishing website (www.yachtpilot.ca), fueled by word of mouth, blogs, seminars and magazine articles. 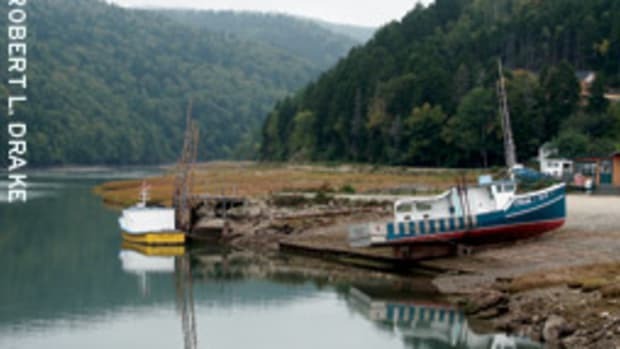 To aid those wishing to expand their cruising into the Bras d’Or Lake and Newfoundland waters, Barr painstakingly researched her home waters and published “A Cruising Guide to the Canadian Maritimes” in 2006. 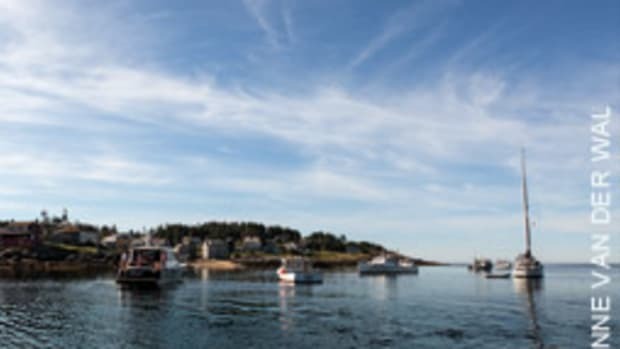 Barr was smitten by the sea at age 7, when her family rebuilt a tired wooden “Newfie” schooner in Nova Scotia and cruised the Caribbean for several years. 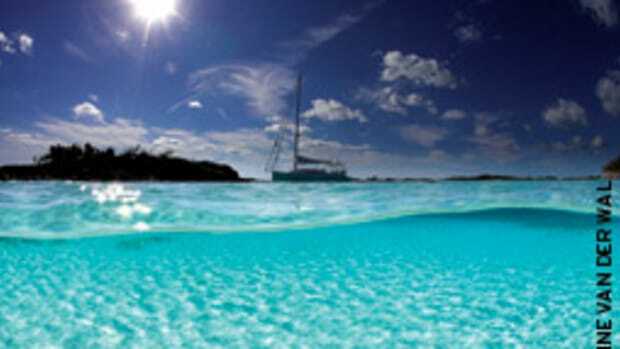 She has sailed the waters of the U.K., Australia, Caribbean and Canada. 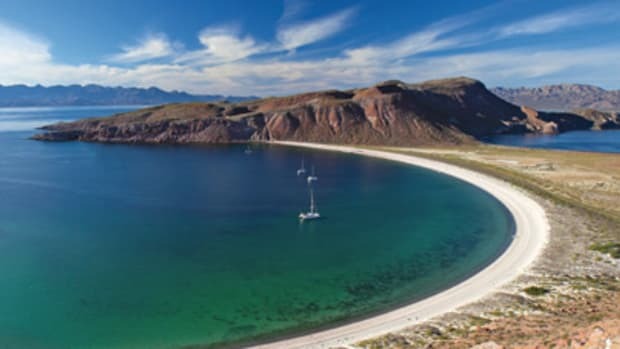 In the mid-1980s she trekked through Australia and Southeast Asia and later backpacked through the South Pacific islands. She attended Halifax’s Dalhousie University and earned a bachelor’s degree in biology. “When I graduated, I had no idea I’d be writing books,” she says.